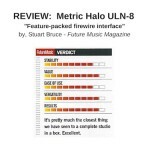 "For a 1U rack mount unit the ULN-8 is about as fully featured as you can imagine for an eight channel interface," according to Stuart Bruce of Future Music Magazine. "The fact that it's FireWire also means that with all that functionality your laptop can be a fully functioning studio just with a ULN-8, a pair of monitors and some cans." "...although it's not the cheapest interface on the market, when you consider what you are getting for your money, and especially with that recent price drop [now $2,999 GBP / $5,995 US Dollar - VAT included], it can only be considered a bargain." CLICK HERE to read the full review by Stuart Bruce (Future Music Magazine), published by music radar. 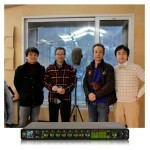 MARCH 2013: South Korea's Audioguy & Partners is an aptly named clearinghouse for all things related to great audio. Headed by the passionate (and terrifically busy!) Jung-Hoon Choi, Audioguy is a world-class recording studio, an audiophile record label for jazz, classical, and world music, and a dealer for high-end pro audio equipment. 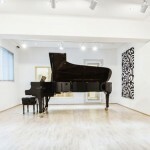 FEBRUARY 2013: Alto NYC is Alto Music's New York-based professional audio retailer that truly nurtures a reciprocal relationship with the studio owners, musicians, composers, producers, and engineers who list among its clients. Its Manhattan showroom would be better described as a fully-functioning control room, complete with structural isolation, acoustic treatment, and almost every piece of gear imaginable – all just a patch away from a test drive or shootout in a real working environment. January 28, 2013 (Seoul, Korea) Audioguy & Partners is proud to announce their receipt of seven 2013 KMA (KoreanMusicAwards) nominations, using the Metric Halo ULN-8, and opening of their new recording studio. In addition to being a Metric Halo Authorized Reseller, Audioguy is Korea's first audiophile record label, managing 60 titles. 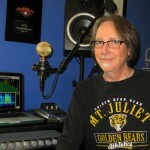 NASHVILLE, TENNESSEE: Mix engineer Billy Decker scored his first #1 single in 2006 with Rodney Atkins' "If You're Going Through Hell," which is among the first (if not the first) #1 country song to be mixed entirely in Pro Tools and bounced to disc. He recently celebrated his eighth #1 single with Parmalee's "Carolina." An in-demand engineer stationed in Nashville, Decker gracefully negotiates the happy demands of a 22-year marriage and two children by maintaining a rigorous work schedule. "I come in at 8:30 in the morning and leave by 5:30 or 6:00," he said. "I mix entirely in Pro Tools, where instant recall of everything allows me to juggle multiple projects at the same time." COPENHAGEN, DENMARK: Sune Snellman Jakobsen is a live mix engineer stationed in Copenhagen, Denmark whose credits include world tours with The Raveonettes, Mew, Mercury Rev from NY, Kashmir from Denmark, and, most recently, Trentemøller. 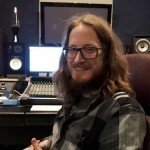 An avid Metric Halo user, Jakobsen owns a ULN-8 interface and a LIO-8 interface and regularly uses their SpectraFoo sound analysis software to set up shows and to help identify and solve problems while mixing. His interfaces carry Metric Halo's optional +DSP, which allows him to run their powerful plug-ins on critical live channels (including the whole mix!). SAFETY HARBOR, FLORIDA (USA) Metric Halo's Sales Channel Relationship Specialist, Ali Buchalter, completed the ALS #icebucketchallenge in an effort to raise awareness of ALS and to raise funds for a cure and care for people impacted by this devastating disease. 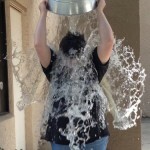 Check out Metric Halo’s ALS Ice Bucket Challenge photo album on Facebook! 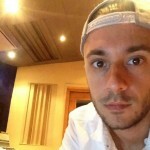 Michalis “MsM” Michael is a UK-based mix engineer with a growing and eclectic list of credits that includes several Top-20 singles, a number-one single, notable work on Diddy's Last Train to Paris and going on to assist the chief engineer of the Grammy Award-winning J.U.S.T.I.C.E. League. His work while assisting necessitated travel, which motivated Michael to shift his workflow from reliance on hardware processing. These days, he mixes almost entirely in the box (ITB) and relies on Metric Halo plug-ins to deliver sonically-solid sounds with zero hassle. His recent work on Tom Prior's Bad Advice EP to be released later this summer, which was produced in part by former Arctic Monkeys bassist Andy Nicholson, exemplifies Michael’s new workflow. HOPEWELL JUNCTION, NEW YORK: Iconic indie-rock band Modest Mouse gained its near-legendary status just outside of pop music’s burning spotlight with a series of convention-breaking albums and a rigorous touring schedule that exposed its music to new fans. Despite selling over three million albums to date, the band is still very much in control of its creative destiny, and Modest Mouse concerts have taken on a mystique that draws hundreds of thousands to arenas and festivals during every tour. The band’s production manager and FOH engineer Philip Harvey (The White Stripes, The Raconteurs) fights to balance the tortuous logistics of his first job with the aesthetic rewards of his second job. 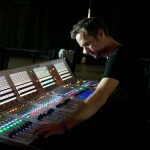 He counts on Metric Halo’s SpectraFoo audio analysis software to quickly dial in the right balance at soundcheck and to diagnose any real-time problems during the show. 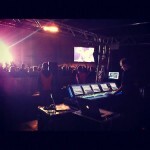 He utilizes a Metric Halo ULN-8 interface, integrated with a Soundcraft Vi6 console, both to provide live effects and to commit each night’s performance to a hard drive archive. Marko Hunt is closing in on four decades behind the mixing console, and he has spent the last thirty-two of them with The Oak Ridge Boys - first at monitors and then later at FOH.